Dubai: While a huge proportion of expatriates in Dubai may still be stuck in rank-and-file jobs that barely offer a Dh5,000 monthly income, new data suggest that the number of people taking home higher pay is actually on the increase. For the hundreds, if not thousands, of expatriates moving to the UAE every year, higher salaries remain the greatest productivity motivator. The good news is that there’s been a shift in earning power. As expats are staying longer in the emirate, household incomes have gone up further, with the number of people earning double-digit salaries increasing significantly between 2009 and 2015. Back in 2009, only 12 per cent of the population were taking home above Dh10,000 (about $2,700) a month. However, by 2015, the number has nearly doubled, increasing to 20 per cent, according to REIDIN, which analysed the salary data from Dubai Statistics Centre, as well as the movement patterns of tenants across the emirates. 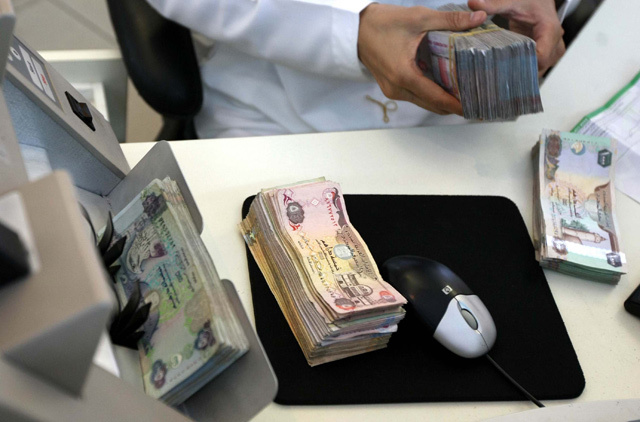 Workers earning above the Dh20,000 pay level are mostly in the construction, manufacturing, retail and wholesale industries, as well as in the public administration sector. “These sectors will be the benefactors of the fiscal stimulus underway, causing the populace to have a higher purchasing power in the future,” REIDIN said. A closer look at private sector salaries compiled by UAE recruiters showed that employees occupying the most senior positions in the construction industry can earn as much as Dh60,000 to Dh75,000 a month. Those who work in mid-level posts, such as senior resident engineers, project managers and resident engineers enjoy a take-home pay of between Dh20,000 and Dh75,000 a month, according to Hays’ 2016 Salary Guide. Many of those in the lower ranks, such as assistant/junior engineers, however, still get stuck in lower pay grades, ranging between Dh4,000 and Dh11,000, depending on the size of the company. Workers occupying the lowest positions, such as carpenters and field fixers, still earn meagre incomes, ranging between Dh900 and Dh1,250 a month, according to a manpower supplier. Within the retail industry, salaries for assistant merchandisers can go between Dh8,000 and Dh25,000, according to the Charterhouse 2016 Salary Guide. The top earners enjoy monthly incomes of between Dh45,000 and Dh60,000. A growing body of research affirms that salaries remain a key consideration for workers across industries in the UAE, including those who work in government offices. A new study conducted by Dubai Statistics Centre (DSC) among 5,029 government employees showed that salaries are on top of the needs of 95 per cent of workers. Authors of the study, however, maintained that priorities differ from one person to another. “Some people prefer the financial aspect, such as job benefits and salary as a priority that realises their happiness, while others prefer aspects of psychological dimension, such as the positively functional relations and job security,” said Tariq Al Janahi, DSC deputy executive director. For more informaton on which jobs offer the best salaries in UAE, click here.